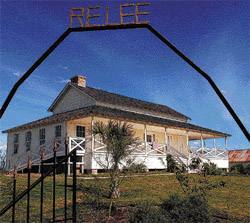 The Lee House, Fort Ringgold Texas. 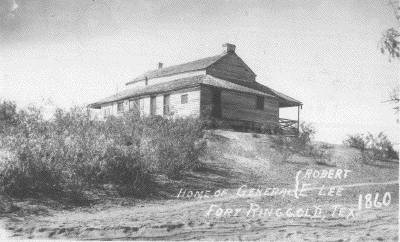 My Family was one of the few families that lived in Fort Ringgold in the 1960s. We actually lived in the Lee House (Robert E. Lee). 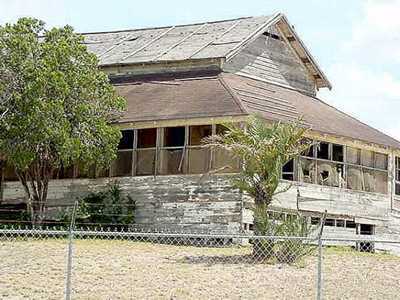 I was born in Rio Grande City in 1961 and lived in that house until I believe 1969 when they asked all the families to move out of the Fort. 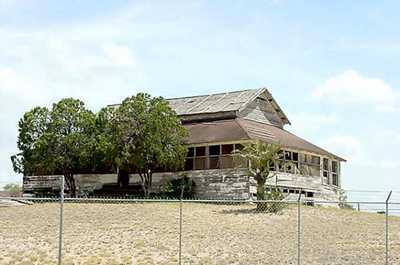 From there we moved into Rio Grande City to 1000 Monroe St. until 1971 when we moved to Alice. The only family that stayed in the Fort was the Gallardo family. Mr. Gallardo was the gateguard for the Fort. They had moved close to the gate of the Fort but they use to live right next to us up on the hill. When me and my 2 brothers and 6 sisters lived there we pretty much had the run of the Fort as our playground, from the Rio Grande River to the fenceline on highway 83. Hurricane Beulah in '67, and right after when President Johnson was assessing the damages, he flew in by helicopter to the Fort and I walked up to him and shook his hand in the school cafeteria. I remember the High School Auditorium burning down at night, I remember the snow on the ground sometime in the late 60s (although the record books say the snow storm of 2004 was the first recorded snow in 105 years in the Rio Grande Valley--I just called my mother and she verified my memory of the snow sometime in the late 60's, saying it didn' last long but it was snow). I remember many hail storms, and watching (and still not imagining how he did it) my now deceased father cut the huge many acre yard of mainly johnson grass around the Lee House using a Reel Push Mower (non-motorized) and a scythe. After we had got out of the Lee House some vandals had gone in and punched holes in some of the walls. The last time I visited the Fort which was many years ago (70's) a fence was put up around the house and a historical marker was placed on the house.